I’ve written about those times before, but for those who haven’t seen those posts: It was a two- or sometimes three-times a month gig, depending on the schedule laid out by Folk Show overlord (and friendly grad student) Jerry, and – aside from the occasional 10 a.m. to 1 p.m. slot – usually meant I had to be in studio by 6 a.m. On a Saturday. Or Sunday. After a night of…well, I won’t say debauchery, but it was college…and State College, the home of the Penn State mothership, is nicknamed “Happy Valley” for a reason. But me waking at 5:30 a.m. and hiking across campus while bleary-eyed was a rarity. I (usually) got a good night’s sleep beforehand. I also prepared. During the week prior to a shift, I stopped in the station and flipped through the LPs in the massive library, mapping out my playlist. I generally focused the first hours on folk-rock old (Byrds) and new (Long Ryders) before, around 8 a.m., trading in that palette for one that mixed more stereotypical fare (Joan Baez, Holly Near, Pete Seeger) with up-and-comers (Nanci Griffith, Suzanne Vega). 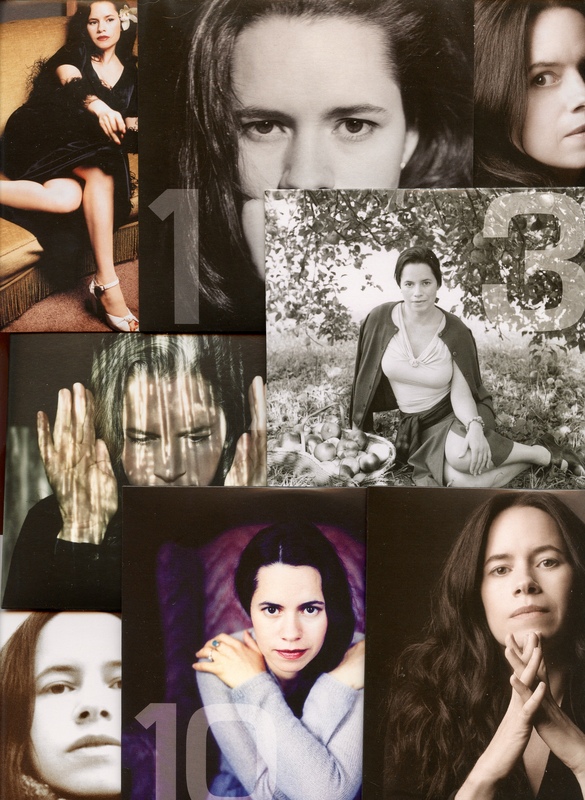 In some ways, Natalie Merchant’s years with 10,000 Maniacs equate to a somewhat lengthy college career – though those of us who became fans at the time didn’t recognize it as such. As this Rolling Stone article (which I spotlight here) recounts, she joined the group as a shy 16-year-old girl, often singing with her back to the audience, and left as a confident woman. 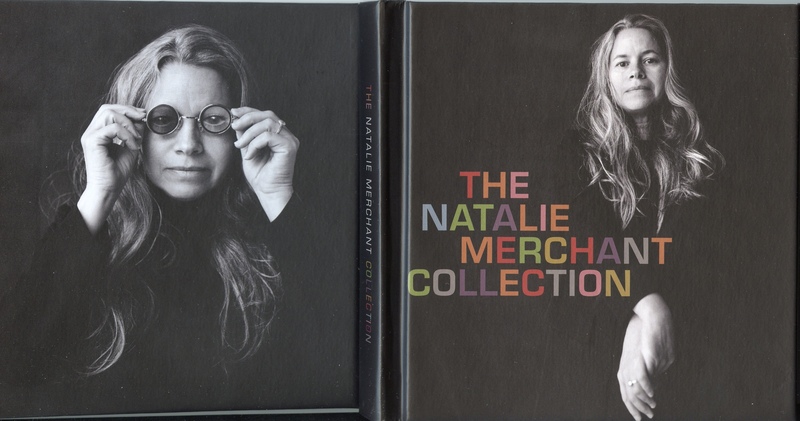 The 10-CD Natalie Merchant Collection skips all of it. Which is fair. Looking back, however, I think it’s obvious that many of us started a journey together during that pre-history era. Whether we date our fandom to the early-‘80s indie days, rocked in The Wishing Chair, hopped aboard the “Peace Train” or traveled to “Eden,” and traded tapes on the pre-Internet boards of Prodigy or AOL, doesn’t much matter, anymore. We were young. We graduated to adulthood and, now, middle-age together. That, in essence, is what the collection charts. It features her seven studio albums, beginning with Tigerlily and ending with Paradise Is There (bookends, in a way); a disc of new songs alongside older ones redone with a string quartet; and another disc of rare and previously unreleased tracks. There’s also a CD-sized booklet that contains lyrics, song personnel and plenty of pictures, though no laudatory essay chronicling her artistic journey – the latter is somewhat customary for such box sets, but isn’t missed. And “Life Is Sweet,” which I now rank with her best songs? I only mentioned it in a months-later addendum, and then just to say that, while I’d come to like it, it paled in comparison to Maria McKee’s similarly themed song of the same name. I’d call them equals, now. Of course, a collection that features so much of the old – all things most longtime fans will (or should) already have – does make one question the necessity of it. But the two discs of new and new-to-us material are well worth the price of admission. The redone older songs are Paradise Is There, Part Two, in a sense, but come off somewhat better due to their dispersed sources – three from Ophelia; two from Leave Your Sleep; and one from Motherland. Though it may be new to some, to my knowledge the Ophelia outtake “She Devil” first appeared on the two-CD edition of 2005’s Retrospective. …and “The Gulf of Araby” is from the aforementioned Live in Concert album, but – all in all – the disc is a five-star alternate history. …or copyright issues, given the way videos come and go from YouTube. Anyway, the set is inexpensive – $50 for 10 discs. For young fans, honestly, it’s a no-brainer. Order it and the 10,000 Maniacs’ 2-CD Campfire Songs compilation. For longtime fans hesitant to re-purchase much, if not all, of what they already own, I’d say that…hey, it’s $50. A cool package. Nice booklet. Great music. The songs you know will take you back; Butterfly will make you think; and Rarities will make you smile. Very nice story/review. I just saw Natalie perform in Cleveland last month (July 2017) and she was great. It was exciting to just sit there not knowing what song was coming next. She makes the stage her own not only vocally but also with her dancing. Classic !!! I agree that an additional disc of “Rarities” would have been nice. I also do remember the Stones’ “Sympathy for the Devil,” Irma Thomas’ “Take a Look” and the Aretha-Dusty medley of “Baby I Love You”-“Son of a Preacher Man.” I am also thinking of others like The Work Song (Oscar Brown Jr.), One Fine Day (The Chiffons), “In the Ghetto” (Elvis Presley) ((it is on Lilith Fair compilation)), “I Know How To Do It” (Dinah Washington). I would love to hear a cd full of spirituals as well !!! Check out her video in historic Shaker Meeting Hall practicing “If No One Ever Marries Me” which then segues into “Bury Me Under the Weeping Willow” with her guitarist Gabriel and Erik. So good!